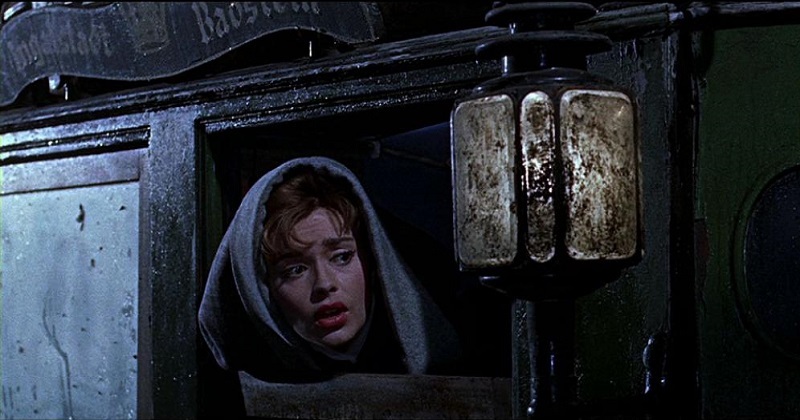 Today marks the final entry in a trifecta of Hammer Films-focused Halloween Horrors posts. While 3 films is but a small sample of the studio’s catalog, it is still enough of an indication of just how many horror fans reflect fondly on their work, and just how people think of them during the Halloween season. 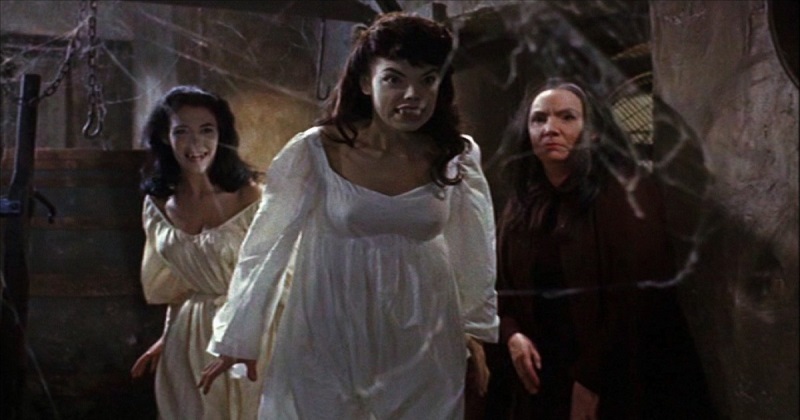 Today’s entry looks at one of the studio’s most applauded efforts, 1960’s The Brides of Dracula. 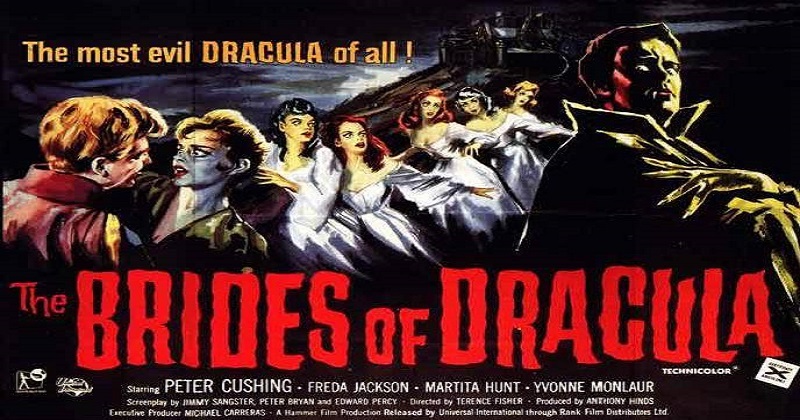 Directed by Hammer fixture Terence Fisher, Brides stands out not only as one of the finest entries in the studio’s most popular franchise, but also as the Dracula film that DOESN’T star Christopher Lee. After making his debut with a look at 1957’s Curse/Night of the Demon back in 2016’s Halloween Horrors series, Wayne Walls returns this year to tackle this Hammer gem. Ahh, 1960! The year of my birth! John F. Kennedy wins the presidential election and Chubby Checker started a new dance craze. It’s also the year that many GREAT horror movies were released. Psycho… House of Usher… Little Shop of Horrors… but I’m not going to talk about any of those movies. 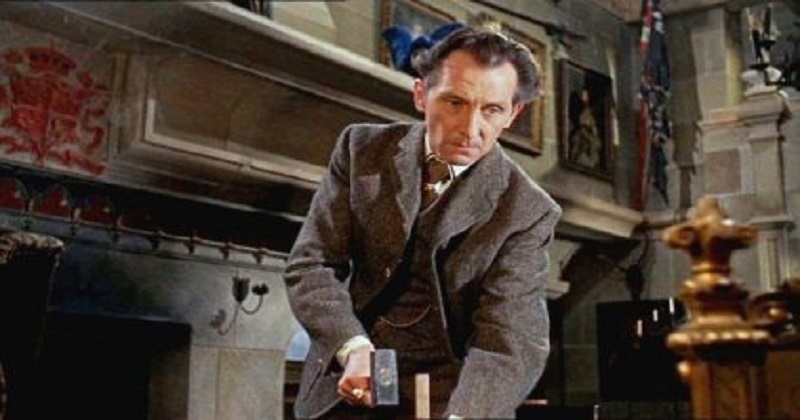 What I’m talking about is the Hammer production of Brides of Dracula, my favorite Hammer movie of all time! Please allow me to walk you, the reader, down my own personal memory lane. I was introduced to this classic vampire tale in the summer of 1973. WBIR was running an early “late show” that started at 4 pm and lasted until 6 pm. Brides came on during a week of movies celebrating the great Peter Cushing. How awesome was that?!!! I had seen Horror of Dracula earlier in the week, followed by Island of Terror. So, I was ready to watch some more horror goodness as I munched on Sugar Babies, various penny candies, and consumed a half gallon of Mayfield’s Iced tea. Once I saw the castle, my young sugar buzzed mind was hooked. The red credits! The scary theme! The voice over telling me that Dracula was dead, but that his cult lived on! This 13-year-old monster kid was thrilled and enthralled! Movies like Brides of Dracula are packed full of moments. Delicious moments! Moments that stick with you forever. Seeing Yvonne Monlaur in the coach was magical. I don’t know if it was her good looks or French accent that hooked me, but my 13-year-old self fell in love at first sight! Just between you and me, I had a photo of her from the tavern, where she first met Martita Hunt (the Baroness), on my closet wall for years! Our story begins as a beautiful young woman named “Marianne” (Monlaur) is suddenly left for no apparent reason at an Inn in the middle of nowhere. The inn keepers are very vague and mysterious about the fact that some weird stuff is going on. As Marianne considers her dilemma, a very fine lady enters the scene. The interplay between The Baroness and Marianne at the Inn is very telling and foreshadows a foreboding sense of dread. The first time we see the Baroness, she is charming, well dressed and RICH! Our heroine is seduced by this charm, lulled into a sense of trust. After all, this stately lady comes from excellent breeding! Who wouldn’t want to go with her to her castle! What is the alternative? Marianne goes to the castle with The Baroness, and even though everything seems cool up front, there is some creepy “background, hidden agenda” stuff going on. What’s up with the dashing and articulate blonde son of the Baroness? Why is he chained up? On top of all this, there is Peter Cushing. I cannot say enough great things about Peter Cushing as “Van Helsing.” He is pretty much “The Man” from his opening scene until the end of the movie. He is handsome, British, witty, brave, intelligent, and a real badass vampire killer! l so wanted to be a dashing vampire hunter like him that summer. The last two scenes of this film have really stuck with me for my whole life, moments that are burned into my brain forever. When Marianne’s roommate (the lovely Andree Melly) is taken by Baron Meinster to become a “Bride of the Blonde Terror”, that hypnotic gaze and the loving way he approaches her is the quintessential vampire seduction. It would seem that she is not a terrified victim, but a willing convert to the vampire cult. And I cannot say enough about the house keeper, “Gerta”. The scene where she is coaxing the newly minted vampire bride out of her grave was a moment that still haunts me and will haunt me forever. Gerta’s cackling laughter and her almost grandmotherly words of advice plays wonderfully. The madness of Gerta even shocks Van Helsing, who watches with both fear and fascination. I think this scene is one of Hammer’s best of all time and is one of my favorites for sure. The sets are great, as are all Pinewood studio sets. They lend a super creepy vibe to the movie. In addition to being so creepy and dark, they also look lived in. The backgrounds and costumes make the story really come alive. Once again Hammer delivers and adds to vampire lore with this film. The scene where Van Helsing is bitten is outstanding. Who knew you could get out of changing into a vampire by branding the wound with a hot poker and then dowsing yourself with holy water? Many thanks to Hammer for all the great entertainment, inspiration, life lessons and NIGHTMARES!